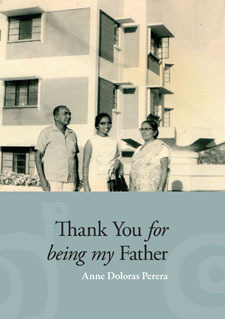 This book is written as a tribute to Anne's stepfather who played a key role in directing her life. She lost her own father when she was 6 months old. Her mother re-married when Anne was 12 years old, and Anne felt utterly rejected and wanted to commit suicide. In the end, the nurturing and understanding nature of her stepfather helped not only to overcome her negative feelings, but also to accept and appreciate his contribution to her life with extreme gratitude. A story about growing up in Ceylon (Sri Lanka), about a young woman following her dreams, and about how the support of a stepfather enabled her to achieve amazing things. Complete with over 300 images. "It doesn't take long to discover that Anne is a very passionate and talented person. What has made her such a passionate person? What is the secret of the strong relationships which she forms with those around her? How has her faith developed the depth which it has? This book gives insights as to how Anne has come to be who she is." Dr Anne Perera is a Food and Nutrition Consultant with many years of experience working and living in countries around the world. She has co-authored Nutrition 2000 published by Longman Paul, New Zealand in 1994, for which she received the Nutrition Writer of the Year award and also Hot Potatoes & Cool Bananas published by SNP International in Singapore in 2007. She has been active in several voluntary organisations and from August 2010 is working in Tanzania on a project sponsored by Volunteer Service Abroad.